Well, I was using it fine last night. Then my computer got a Blue Screen of Death, and in order to repair it, deleted Roxio Game Cap. So I re-installed it, and now I can't use it because a driver was needed. I search for a driver, and what do you know, none are found. Any way to fix this? I re-installed it twice again. I have Vista SP2, and install by .INF Mode not that I know of. I just ran regular set-up through auto-run. Put your original diwsc in your computer with your anti-virus OFF. When the install starts, do you get an option to repair? Select that. Make sure your capture devcie is plugged in. If that doesn't work, go to Windows device manager and look for the capture device. Delete it and reboot. 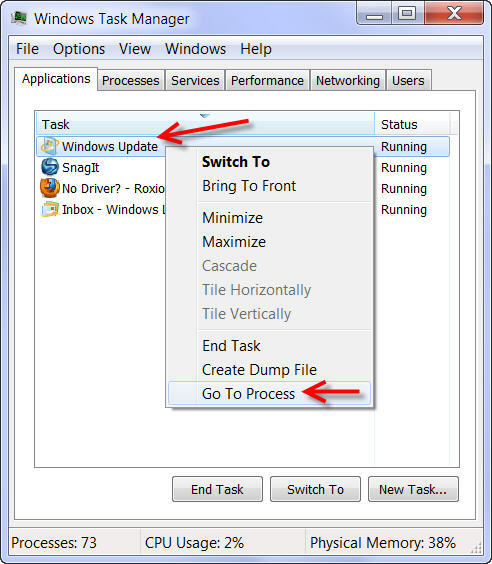 Connect the device and do the above - again have that anti-virus turned off; not just paused.. If that doesn't work, come back and let us know if you are getting any error messages. You may have to delete the program and reinstall from scratch. I've tried all of those things you mentioned already, but no error messages. This is my suggestion only. If you want to , download and run Revo Uninstaller in the Moderate Mode. It is free. You can get it from Cnet.com. It will use the built-in Uninstaller and then with your permission remove the registry entries that are safe to remove. That is why I suggested the MODERATE Mode. Once you have done this, reboot and make sure your anti-virus is OFF not jst paused. Note that Norton almost has to be deleted to get it to stop. Reinstall. If it still doesn't work, answer these questions. I know you have answered a lot of them but we may have missed one or two. Any idea why it worked fine without a hitch the first time though? I was using Firefox 4 when it was working too. It could be a hiccup of your computer or something that was changed (updated or new program). You can do things like check your hard drive for errors, check the cooling on your processor, etc. You would have to track down any potential issues with your computer. Then you would look for stressors like CPU overheating (especially laptops), other programs you were running at the same time, etc. If the progream worked the first time, something HAD to change to stop it from continuing to work. I'm not sure it is worth tracking that down unless it continues to happen. Remember do not use any Registry Cleaners even as part of a anti-virus suite. You can turn it off or set them to ignore any Roxio and Sonic entries. You said you were using FF 4 and it worked; does that mean you do not have IE on your computer at all? When you searched for a driver did you look on your hard disc or the installation disc? The driver has to be on the installation disc. It may be hidden in a .cab file or something but it has to be there. If you go to Device Manger and try to install a driver and point the Browse function at the installation disc does it still tell you there's no driver found? I have no IE at all, but it still worked two nights ago. I've been pointing it at installation disc for drivers but it says none were found. I don't know what's going on. I've done nothing since when it worked except re-install it. Question, how do you update your OS without IE? Download the updates through Firefox, off the microsoft site. Please tell me how you do a windows update using FF? 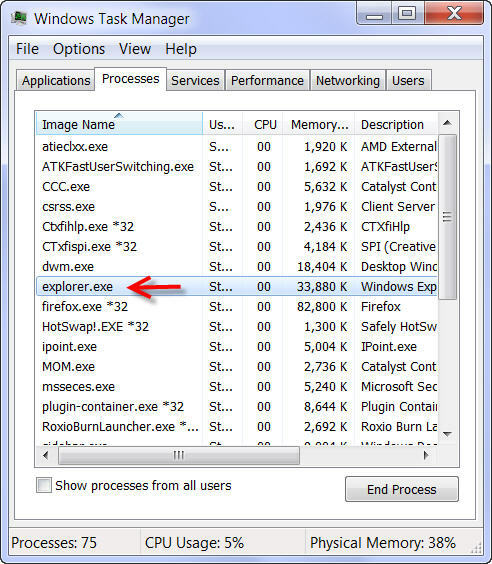 explorer.exe is what puts your icons on the screen, task-bar, program icons, etc. Please explain to us how you do a windows update using FF? All you have to do is find the update you need on the Microsoft website, download it, and you could either use the installer with it or install it manually. The minimum spec is to have a version of both IE and WMP on your computer. If you are not going to do that, this thread can be closed. No, I don't know why it worked for as short time. Please explain to me exactly everything that is happening to your PC, the time that you turn until the time you plug the RGC. Any information appears on the screen? Is there a yellow exclamation mark on the screen of hardware? I've seen you made some procedures. But I need to know everything in detail to be able to help. Nothing happens really, just when I plug it in it shows the "Installing Device Driver" pop-up and GameCap shows up in Device Manager as "Broken Driver." If I run Roxio GameCap everything is "No Signal." Everytime I try to find a driver it says the driver failed. Check your CD for Drivers Folder. Its have a INF+DLL or SYS file or EXE+CAB??? No Drivers folder, only INF is setup info. Only EXE is autorun. No CAB. Take me a print from CD folders. What do you mean? And if you mean a pic I just need to do a print screen correct? Yes. print screen, open PAINT and Control+V, save this , upload to site.